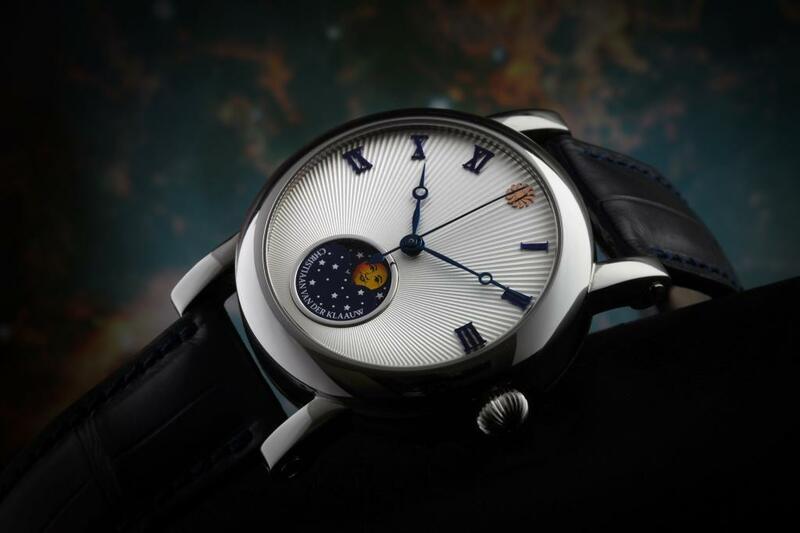 Only a few people in the world are capable of fitting something as small as the solar system in a wristwatch. Christiaan van der Klaauw, a clock- and watchmaker from the Netherlands is one of them. In 1974 he produced his first clock and he started incorporating the predictable movements of solar systems in his clocks. His abilities drew attention from members of the Académie Horlogère Des Créateurs Indépendants (AHCI) a select group of very skilled watchmakers. Christiaan van der Klaauw became a member of the AHCI in 1990. 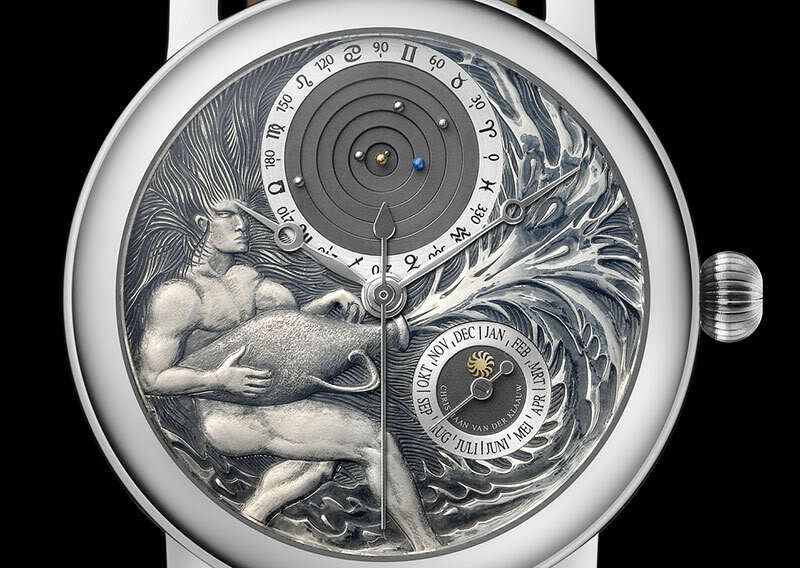 His masterpiece movement is the Planeto Astrolabium,an extremely complicated clock that tells time, dag, month, week, year and a complete astrolabium including the northern and southern hemisphere. 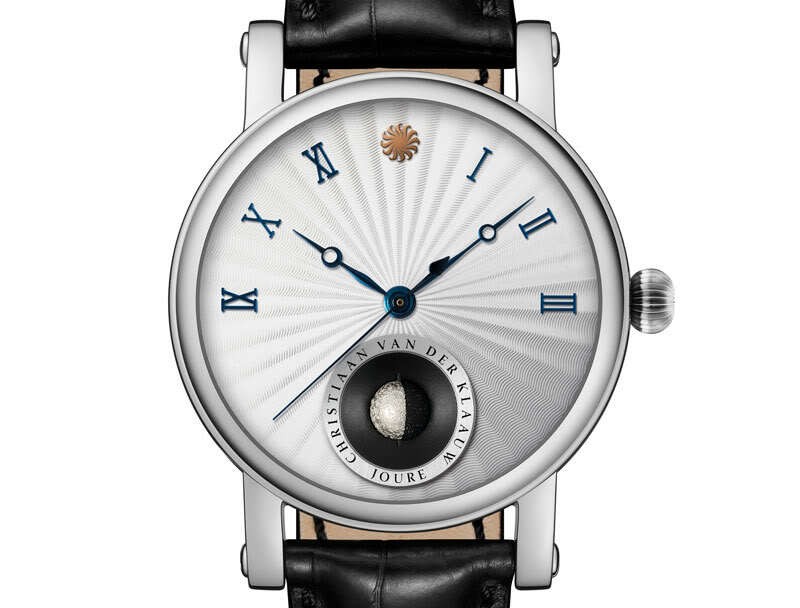 In 1992 van der Klaauw won the price for the most innovative design at the world’s most important watchfair, Baselworld, for his Pendule Variable. The Satellite du Monde features Christiaan van der Klaauw’s characteristically surprising use of color, dial layout and guilloché patterns. The current sun and moon positions are incorporated into the face. The case is 39mm in diameter and 10.5mm thick with a sapphire top and base. The band is alligator leather with ETA 2824-2 automatic movement. The special function of the Satellite du Monde is that it displays the positions of the sun and the moon, world-time fashion. The hour hand and the sun indicator are permanently linked, so that such niceties as adjusting for daylight savings time or travel are out. In the process of indicating the moon’s west-to-east progress around the Earth, the sun indicator will pass the moon indicator every 29.5 days or so, and adjusting their relative position takes only a few minutes. The photo above shows the current Satellite du Monde. Below is a photo of the previous with a different sun/moon ring and different numbers for the time. The model below is becoming a desired model because it’s not available in this form anymore. This model for is sale at Horloge Platform Nederland. 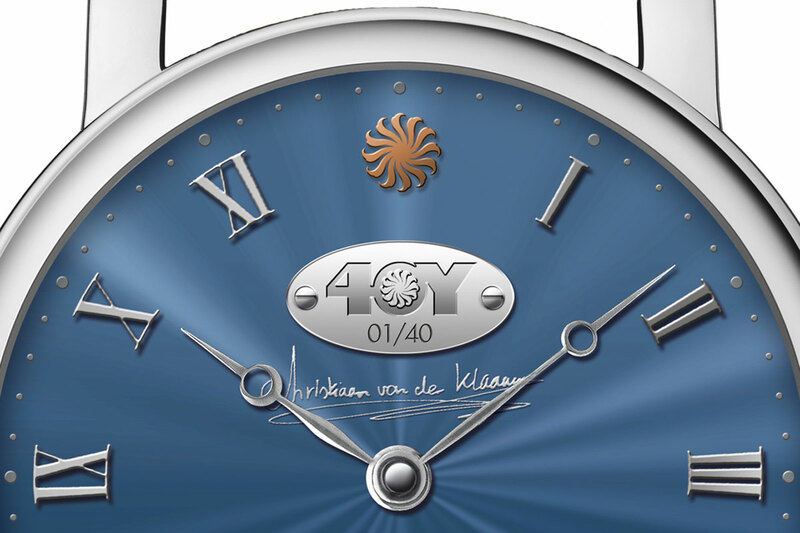 Horloge Platform Nederland is also one of the authorized dealers for Christiaan van der Klaauw watches. The Satellite du Monde is available in 18 carat rose gold and stainless steel. 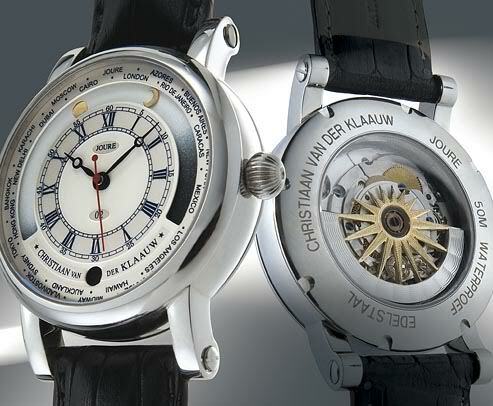 Besides watches with astronimical features, Christiaan van der Klaauw also produces less complicated wristwatches. This way making his watches available to more people. It’s a privilege owning a Christiaan van der Klaauw watch. He produces his watches himself with a yearly production of only 100 to 130 pieces. To see more watches made by Christiaan van der Klaauw, visit his website or visit his stand at Baselworld. 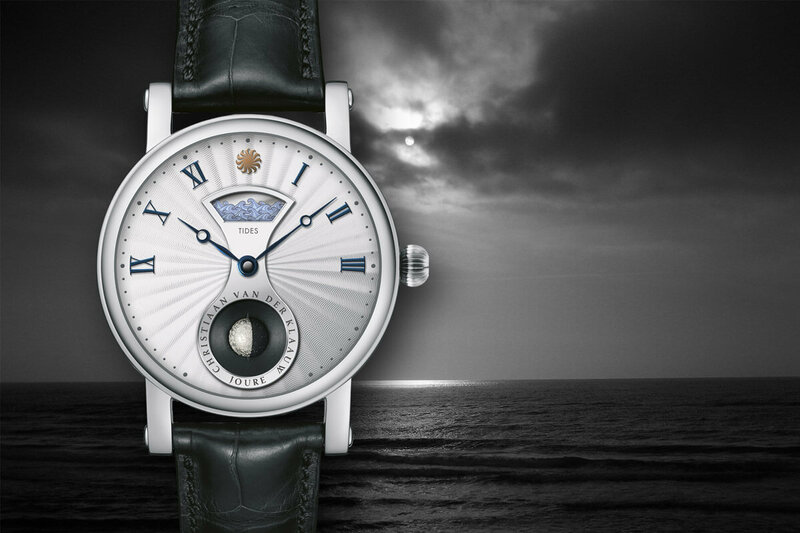 Christiaan van der Klaauw Real Moon Joure – most precise moon phase ever! Very Interesting! 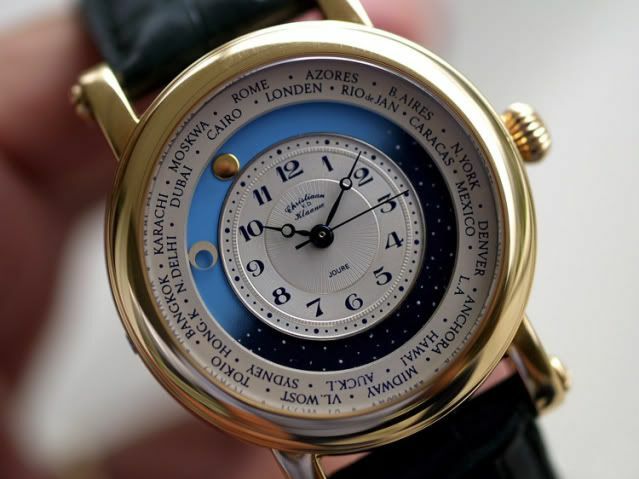 I like the Satellite du Monde – a very unique looking watch – is this a new release for BASELWORLD 2009?